Hons. B.Sc. in Physical Anthropology (Univ. of Toronto); M.Phil. in Biological Anthropology (Univ. of Cambridge); Ph.D. Human Skeletal Biology (Biological Anthropology) (Univ. of Toronto); Forensic Anthropology Consultant to Office of Chief Coroner of Ontario, and the Ontario Forensic Pathology Service. 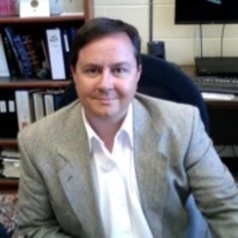 Founder of the Department of Forensic Science, Laurentian University. Tenured, Full Professor.